Jonelle Hook, Ph.D., has taught in the Mathematics and Computer Science Department at Mount St. Mary’s University since the fall of 2010. She attended graduate school at Lehigh University in Bethlehem, Pennsylvania where she earned a doctorate in mathematics. While at the Mount, Hook has developed various mathematics courses including the Core Curriculum mathematics course, Mathematical Thought and Problem Solving, and an online version of Calculus I. Along with these courses, she teaches the three-course Calculus sequence and Graph Theory, and has mentored undergraduate research in mathematics. Hook is a 2011 Project NExT (New Experiences in Teaching) Fellow of the MAA (Mathematical Association of America) and an invited participant at the 2012 Research Experience for Undergraduate Faculty hosted by the Institute for Computational and Experimental Research in Mathematics. Hook’s research is in graph theory with current research projects in Ramsey theory, graph labeling, and distance in graphs. In 2013, she was the honored faculty speaker at the SPARC Festival and introduced the Mount community to Ramsey theory. 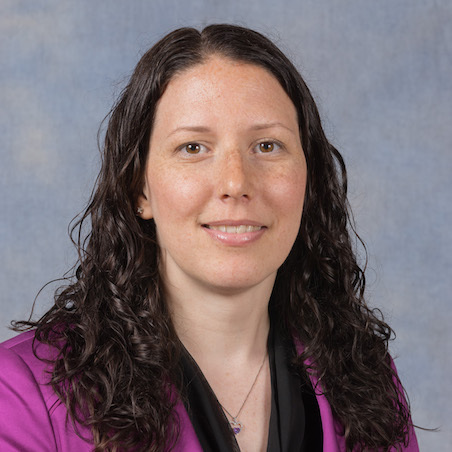 She currently serves as academic advisor for the student chapters of the MAA and the AWM (Association for Women in Mathematics) and organizes the Mount Math Madness university competition every spring. Critical graphs for R(Pn,Pm) and the star-critical Ramsey number for paths, Discussiones Mathematicae Graph Theory, 35 (2015), 689-701. Star-critical Ramsey numbers, Discrete Applied Mathematics, 159 (2011) 328-334, with Garth Isaak. Professor Hook calculates the possibility that two people in a group of 23 would share the same birthday.